MOBILE MINECRAFT! This allows you to install minecraft on a SD-Card/Flash-Drive, Currently it's only for Windows, but I'm working on a mac version! This requires you to have already bought Minecraft and installed it on you're pc, if you haven't installed it on your pc, when it says it's copying you're copy of minecraft to the drive, press Q and then open the launcher and it will install automatically but it will only let you play if you've signed in. * Finally fixed the logs. + Made it much more user friendly. + Added a few new options for the installer. * Fixed a ton of bugs. For 1.2 and below I don't know. To update just click the installer, say no to copying the installation, and overwrite all, that will install the update. 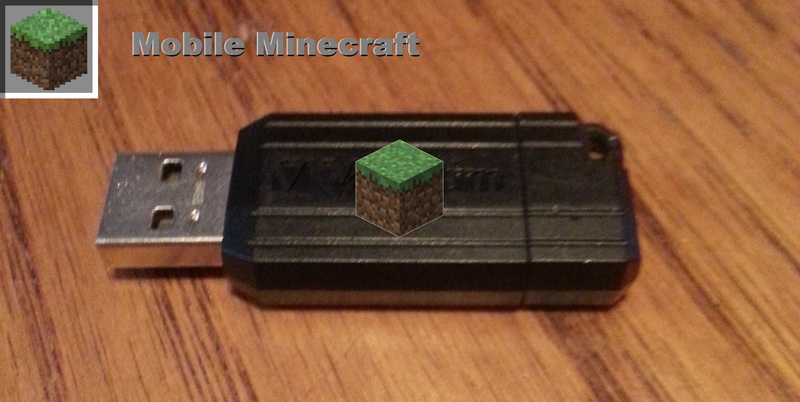 simply press the button of the according drive that you have Mobile Minecraft installed on. If you get an error when starting, don't worry. this is because your pc doesn't support choice. Just use the "Error version". I'm not sure what I could do with this if I can just select the Game Directory from the profiles in the launcher. if I can just select the Game Directory from the profiles in the launcher. I just changed the game directory and my map list is now empty. OH, and the installer works right now. Now [nearly a year later and much better at coding] i have improved upon this. you do not get the concept. Yes you can change the directory, but it does not change it all, all of the launching files and (most of) the engine is still installed on your pc, this puts it ALL on a drive.